Sellsy brings you powerful capabilities to sort and search your documents. 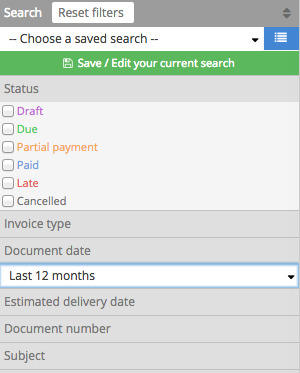 You can easily build common queries such as the list of your late invoices, or a list of invoices paid last month. The result of these filters can be exported directly from the link located above each list.